15 September 1942: Keel laid by the Brown Shipbuilding Co., Houston, Tex. 8k Peter Tomich was born on 03 June 1893 at Prolog, Austria, in what later became Yugoslavia. After enlisting in the U.S. Navy in January 1919, he initially served in the destroyer Litchfield. By 1941, he had become a Chief Watertender on board the training and target ship Utah. 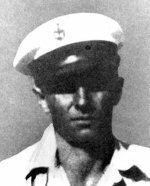 When that ship was torpedoed during Japan's 07 December 1941 raid on Pearl Harbor, Tomich was on duty in a boiler room. As Utah began to capsize, he remained below, securing the boilers and making certain that other men escaped, and so lost his life. For his "distinguished conduct and extraordinary courage" at that time, he was posthumously awarded the Medal of Honor. Since Peter Tomich was an immigrant, his next-of-kin could never be found, and his medal resided aboard USS Tomich until her decommissioning. This link tells The Saga Of Chief Watertender Peter Tomich's Medal Of Honor. 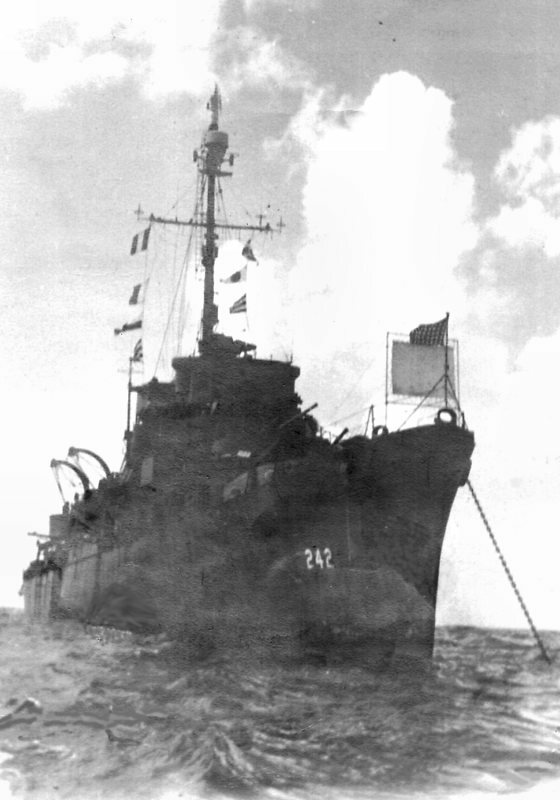 USS Tomich (DE 242) (1943-1946) was the first ship named in his honor. View the USS Tomich (DE 242) DANFS history entry located on the Naval History and Heritage Command web site.